Practice with Clayton anytime with this Ashtanga Primary Series video. This 1 hour 20 minute DVD was shot in Manila, Philippines, by John Amon. Music is by the acclaimed DJ, Roman Flugel from Frankfurt, Germany. 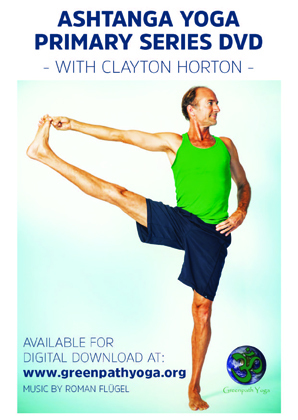 Ashtanga Yoga Primary Series presented by Clayton Horton.